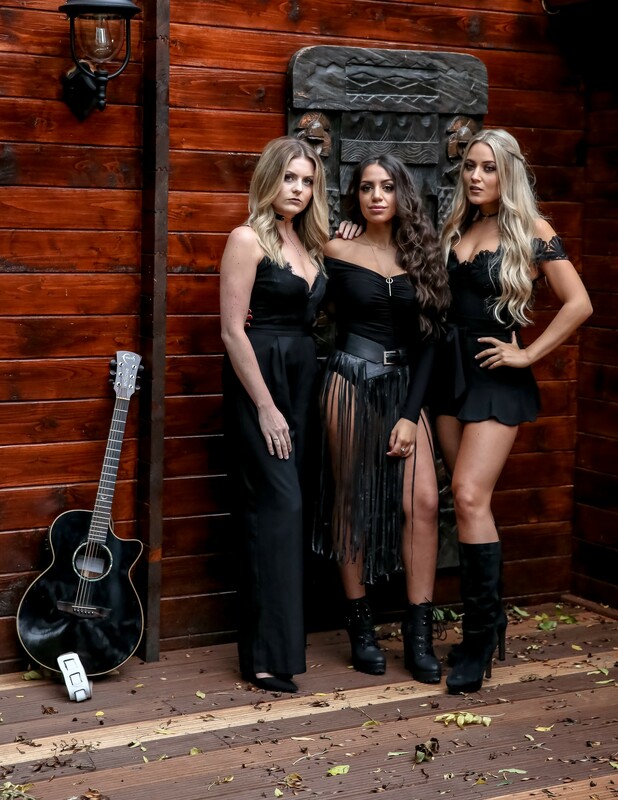 The Adelaides are a new UK country trio and we are very excited to have them be a part of the UK scene and to get to know them musically and personally – the trio are Paris, Abi and Alicia. You may be familiar with Paris and Abi who alongside Jess Roberts were the country group Dahlia. The Adelaides are set to be a part of Country Music Week and will be performing on Saturday October 7th alongside Temecula Road, Jillian Jacqueline and Levi Hummon. We caught up with Paris, Abi and Alicia so that we could get to know them a little bit before their show and I must say that they seem like the lovliest girls. As I enjoyed the music and the vocals of Dahlia, I for one am very excited about The Adelaides and what they have to offer and very much look forward to seeing them on Saturday October 7th at The Daytime Hub at The Borderline. I hope if you are reading that you come along and watch The Adeleides first official performance. Hi girls – Hannah from Building Our Own Nashville here – how are you? Hi Hannah, we’re doing great thank you. Can we start by introducing yourselves and your role in the group? I’m Paris, I play guitar and sing in the group. Hey, I’m Alicia and I’m a vocalist. Hi I’m Abi and I also sing and play guitar. We all write our own material and arrangement. What is each of your backgrounds in music? Paris: My parents influenced me with country/pop music such as Shania Twain, Dolly Parton and Faith Hill when I was younger and I quickly developed a passion for country music. Having played piano from the age of 7, I’ve always been interested in playing music and have been gigging since I was 15 years old. Alicia: I grew up singing soul, blues/country and pop music on stage from the age of 14 before taking a break to train in dance and musical theatre in a top drama school in London, but realised that my passion lies in commercial music and being able to be more creative with original music. Abi: I have a very musical family and was brought up listening to Fleetwood Mac, Dixie Chicks and Shania Twain. I gigged with my parents from an early age in their band and started writing music from the age of 14- some of which has been broadcast for TV. How did The Adelaides form? Paris: Abi and I were in a group before and decided that we wanted to find a third member to really develop a country-pop style band with a 3 part harmony. We very quickly found Alicia and it just so happened that she was searching for a group to join- it worked out really well. Alicia: Paris and I have a mutual love for the film/musical Calamity Jane and took inspiration from one of the main characters Adelaid Adams. However, Abi still hasn’t seen it so we are yet to make her watch it! Our music is quite heartfelt but at the same time, we have a very fun and lively sound. We are always keen to get the audience involved and often encourage interaction with our songs. Country roots with pop elements, we are always looking to create a different sound that is current and commercial which we believe there is a gap in the market for. 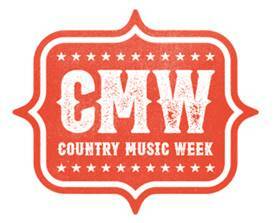 You will be playing during Country Music Week which is exciting, what can we expect from your set? We can’t give too much away but we can promise you that our set will include a range of upbeat and power ballads mixed with some of our favourite covers. I guess you’ll have to come and watch for yourselves! You will be playing alongside Temecula Road, Levi Hummon and Jillian Jacqueline – are you familiar with all of their music? Of course!! We are massive fans of Jillian Jacqueline in particular after her release of ‘Reasons’ and can’t wait to hear her live. Will you be catching any other shows over the course of the week? If so who are you going to see? Unfortunately we are really busy in the week with rehearsals and working in the studio so we aren’t going to be able to make the other shows. We’d love to see Andy Brown’s performance though! When can we expect some music from you to be released? We are currently recording and developing our sound as this will be one of our first live performances together. We can’t give too much away so look out for something soon in the near future. How do you find the UK country scene now? Do you feel that as the genre is growing that there is a lot more room in the market for UK country? Definitely! We have noticed a big change with UK music and the country scene is definitely growing and catching attention of all ages. Artists such as Ward Thomas and The Shires have definitely created a buzz for country music within the UK. What do you each love about country music? Abi: I love that each song tells a different story and that the lyrics are truly powerful. You never hear a country song with empty lyrics. Alicia: The passion of country music gets me. The purity of country music and the lyrics stand out from any other genres and you can’t help but love it, its infectious. Paris: I love that country music is so diverse. There are so many artists that subconsciously fall into the country genre that you wouldn’t normally think of to listen to. In my opinion, songs by people like Bryan Adams and Ed Sheeran have such country elements in their music but perhaps doesn’t have the traditional country production that audience members don’t realise they are listening to country. Who are your favourite country music artists right now? We love empowering female artists such as Maren Morris and Carrie Underwood but also love the groups like Lady Antebellum and Rascal Flatts for their strong harmonies and catchy hooks. Do you listen to any other genres? If so, who are you listening to right now? Alicia: I listen to a lot of soul-pop such as Bruno Mars (who I’m obsessed with) and also love Beverley Knight, she grew up five minutes away from me so her success inspires me. My favourite acoustic artist is Max Milner and I’m also a huge fan of the group Keywest. Abi: I love all the acoustic artists like Matt Corby, James Gillespie & Leo Stannard but am really interested in commercial pop artists too like Astrid S and Sam Smith, their songs have some great concepts. Paris: I mainly listen to country music but my all time favourite artist is Bryan Adams. What was the first and last gig you ever went to as a spectator? Abi: My first gig was to see Spice Girls when I was about four years old! I saw Sam Smith at VFest one year and he was an incredible live performer. Alicia: S Club 7 was my first show when I was six years old and my last gig was to see The Jacksons earlier this year in London. Paris: I was obsessed by Gareth Gates when I was younger and saw him on the Pop Idol tour. My most recent gig was to see Celine Dion- I’ve always looked up to her so this was an incredible moment for me. Are you going to C2C? If so, who would you like to see on the line-up – other than yourselves of course. Paris: I’d personally love to see Lauren Alaina- I think she’s amazing and deserves way more recognition. Alicia: For me, I’d love to see Maren Morris! Abi: I’d love Rascal Flatts to be on the lineup- they don’t come to the UK often and I’d love to get the chance to see them. If you could tour with any country artist who would it be? We’d love to tour with Dan and Shay- their harmonies are spot on and they seem like such a laugh! We all have a common interest in fitness so spend our free time at the gym. We love a fun day out and have many shopping trips and enjoy a good cocktail or ten! Paris: I would describe Abi as bubbly and Alicia as loveable. Alicia: I would describe Abi as clumsy and Paris as passionate. We are all active Netflix users and love a good series! Paris: My favourite film is ‘Just go with it’ and my favourite TV show is Friends. Alicia: My favourite film is ‘Burlesque’ and my favourite TV show is Fresh Prince of Bel Air. Abi: My favourite film is ‘White Chicks’ and my favourite TV show is The Inbetweeners. If you could go anywhere in the world right now where it would be…..
How can we keep up to date with you girls? You can follow us on social media @theadelaidesuk. We are on instagram, facebook and twitter. 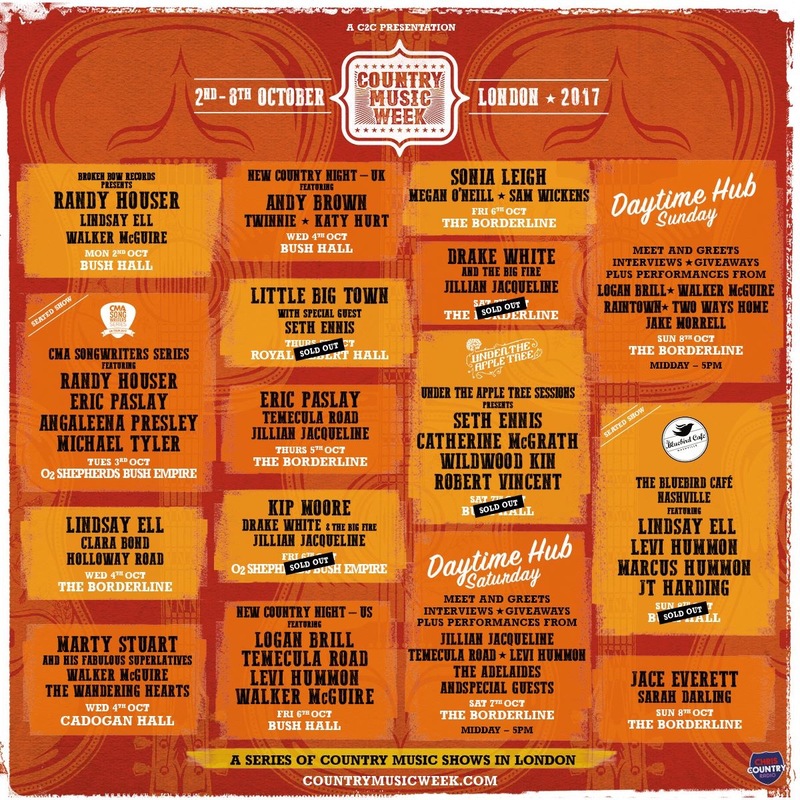 Thanks so much for chatting to me today – I look forward to seeing you at the Daytime Hub during Country Music Week. Thank you so much, see you at CMW!